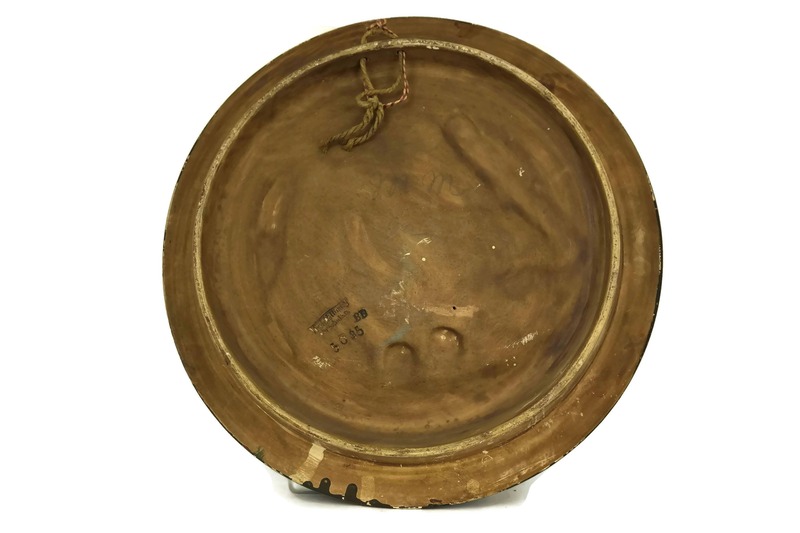 A lovely antique terracotta plate by Bernhard Bloch, the famous Bohemian ceramic artist. 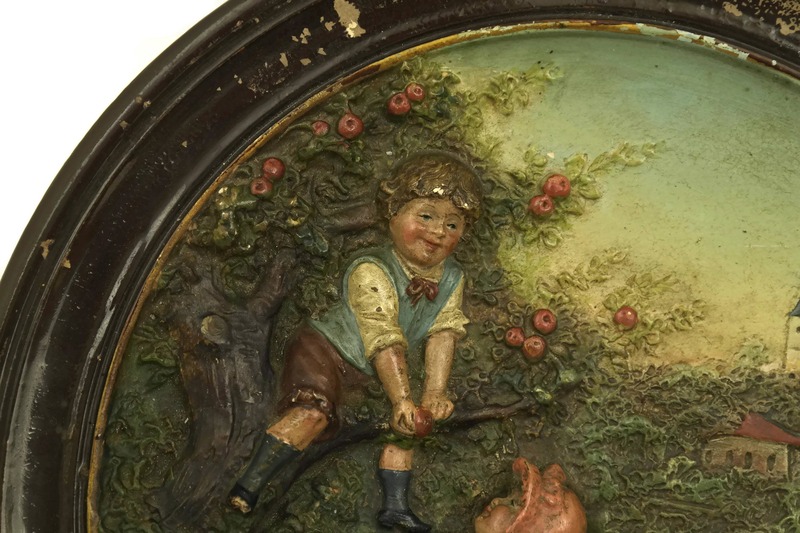 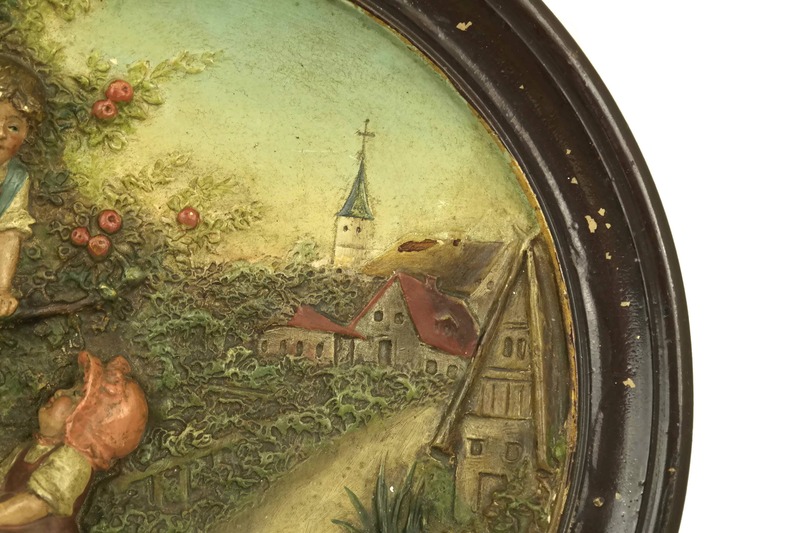 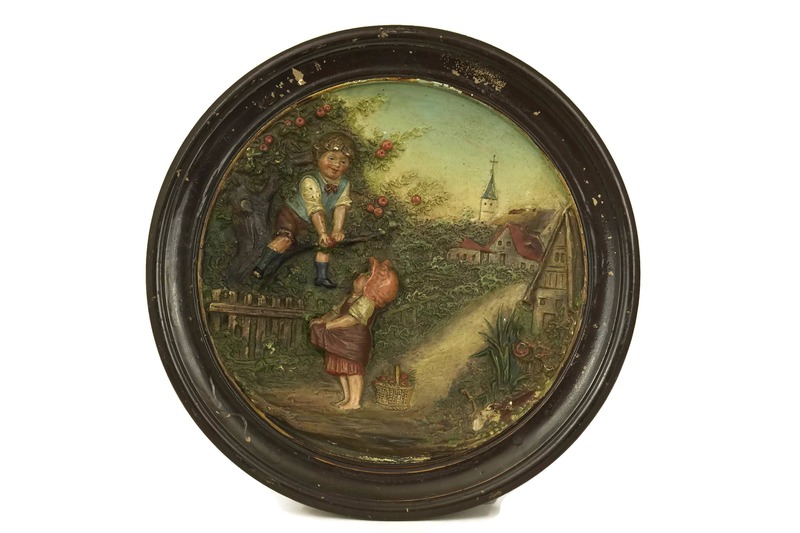 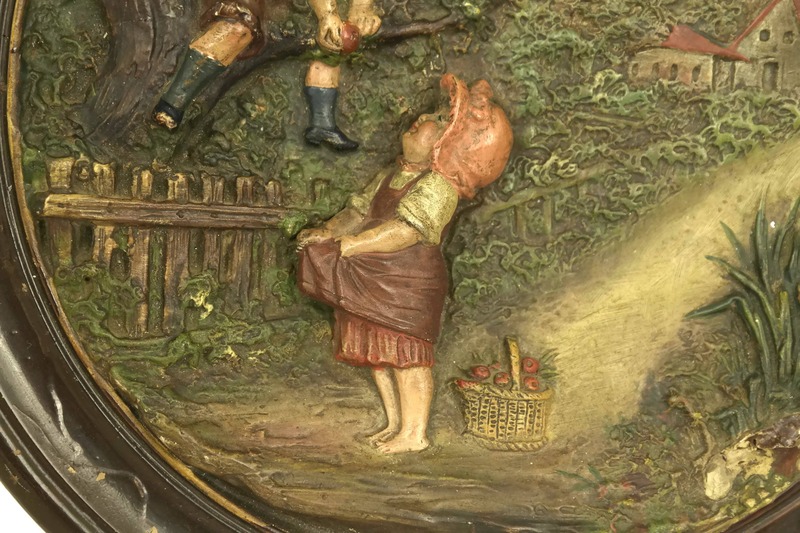 The wall plate has been decorated with a scene of children picking apples from a tree and has been relief molded to create a striking 3D effect. 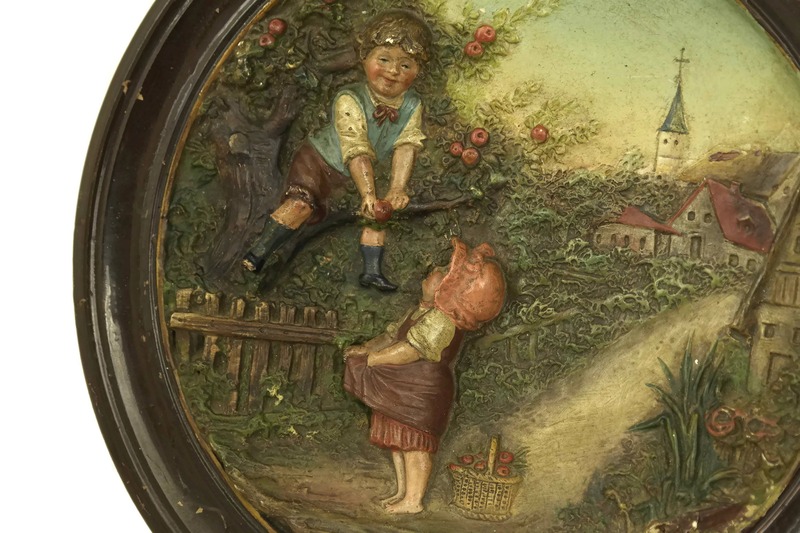 The wall hanging pottery plaque has been hand-painted in a rich palette of colors. 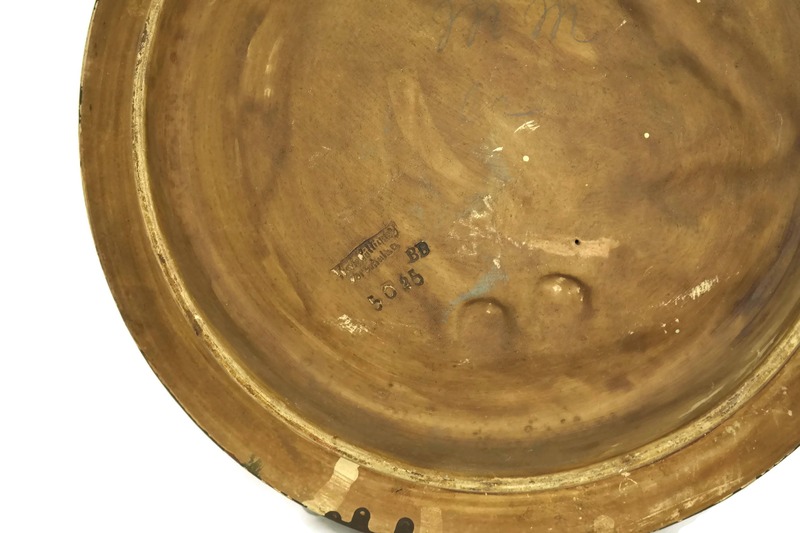 The underside has been impressed with the stamped initials BB and the pattern reference number 5025. 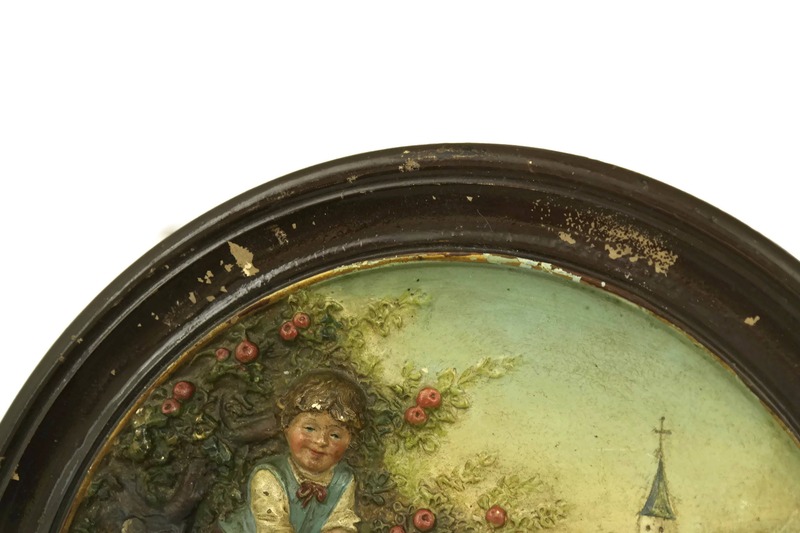 It also has the trademark stamp in German " Vervielfältigung Vorbehalten". 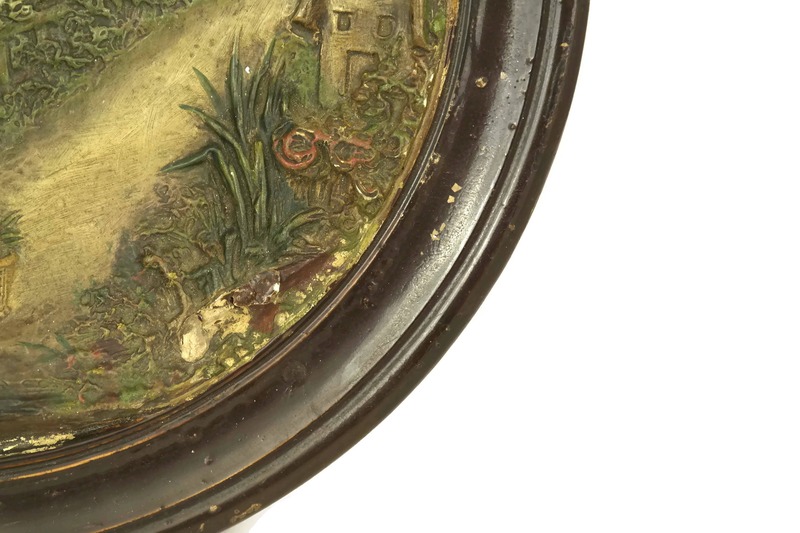 11" Wide x 1 1/2" Tall (28 cm x 4 cm). 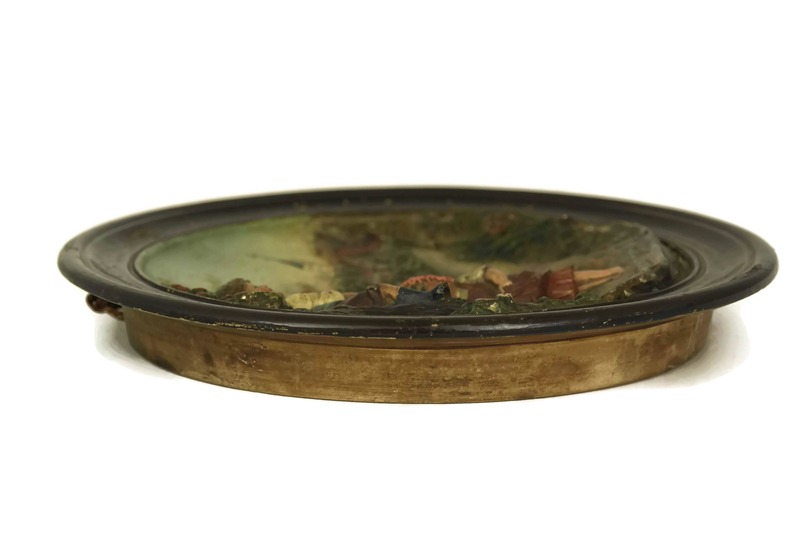 The antique wall plate is in good condition with some signs of age including light surface wear and flaking to the paint.